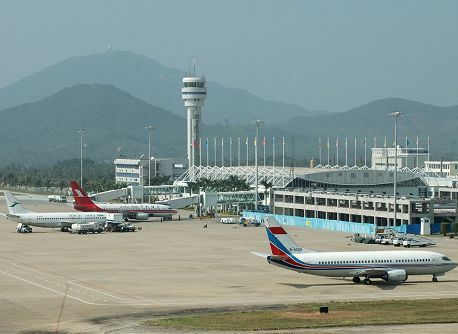 The facilities upgraded include airport entrance paths, airplane runways, drinking-fountains, boarding card printer and self-service check-in machines, baggage handcarts and user-friendly facilities for people with disabilities. Meanwhile, the airport is planning to invest 3 million yuan into reconstructing the No.1 special plane site and its surrounding environment. The parking spaces for domestic terminal buildings and green projects are both being upgraded, with an investment of 6 million yuan. Besides, the 3rd-phase expansion project of the airport is being constructed smoothly including a new terminal building for VIP guests and business jets which is being completed and put into operation. The 3rd-phase expansion is due to be completed in 2015. Upon its completion, the airport will be able to handle an annual passenger throughput of 15 million.